Galleri Gotland in Visby is run by ”The Gallery Association in Gotland” that consists of about 60 artists and a board of 6 representatives. Our aim is to show interesting contemporary art and the gallery also serves as a vital cultural focal point for both members and guests. 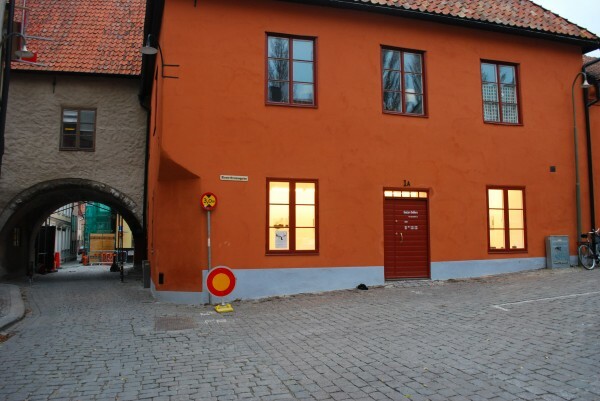 Galleri Gotland initiates and encourages cooperation and exchanges with local, national and international artists, collectives and organisations. We welcome applications from artists in Sweden and abroad. If you are interested in exhibiting, please send us a concept, cv and examples of your artwork to exhibit@gallerigotland.se or by mail to Galleri Gotland, Kloster Brunnsgatan 1A, SE-621 56 Visby, Sweden. Click here to download a floor plan of the gallery space.